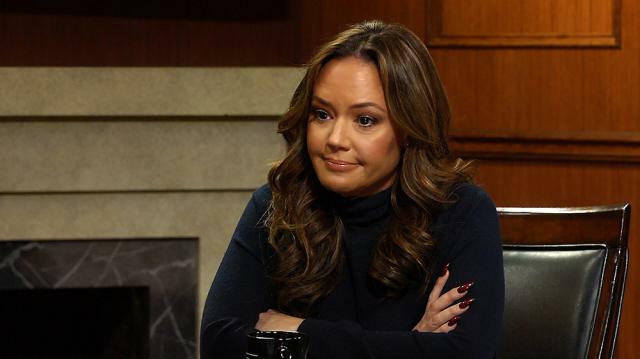 Former Scientologist Leah Remini describes how she says the church deals with “suppressive people” – those who have left the organization and criticize it – by systematically working to ruin their lives. Larry King: Do they try to take things out against you? If you leave the church or speak out against what do they try to do? Do they try to suppress you? Leah Remini: They have a policy called ‘fair game’ that they claim has been cancelled. And they in fact did issue another policy that says ‘fair game has been cancelled.’ However, there’s another policy that says, ‘however, dealing with suppressive people remains the same.’ Dealing with suppressive people means to go after them, try to destroy their lives, try to find any crimes they’ve committed, expose them, expose them hard. You can lie about them, they have scientologists picketing in front of people’s houses going ‘don’t trust your neighbor,’ implying that he’s a sexual deviant. They go after your jobs. And when that doesn’t work they go after your family.